Over 2700 puzzle swaps have been initiated to date. If you have a library puzzle that you are ready to send out, scroll through this list to the puzzle ID number if it has a label. You will then be able to see the list of members who have requested or do not want this puzzle. The names are listed in order of request date, so the first person in the list has been waiting the longest. For this reason, you should choose this person if possible. Otherwise, you can select any name on the list if you want. Make sure that the person you choose is on the Recipients List. If their name is not there, they are more than likely on hold at this time and you should skip to the next available member. We are finding that when members select puzzles from the library, they tend to receive more swaps than other members. 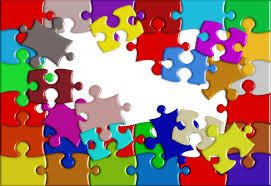 If you want to be really active with swapping puzzles, make sure you keep several puzzles selected at the library at all times. Select a member from the recipients list. Please include a tracking number and a puzzle journey sheet inside the box. If you have received a puzzle in the mail without receiving a shipping notice, or tracking updates, please log it in by using the transit board above (preferred) or this email link (if not listed above) receipt link. Please provide your name, the sender's name, sender's City, State, Zip and the mailing date. We can then log them in and adjust rating points if necessary. © 2016 A Blonde Moment Marketing, LLC. All rights reserved.